Adderall is a stimulant prescription drug used to treat ADHD and ADD. However, several students use it unprescribed, disregarding the potential health effects. “A thousand miles per hour,” is how junior Anne Chapman describes her Attention Deficiency Hyperactivity Disorder, or ADHD. Her mind jumps from thought to thought, thinking about upcoming events or a movie she watched as she tries to do her math homework. She struggles with sitting down so she’d rather bake then watch TV. Chapman was diagnosed with ADHD in January of her freshman year. Coming from a family with a strong genetic background of ADHD, Chapman feels like her parents have always known that she might have it. According to the National Institute of Mental Health, ADHD is “a brain disorder marked by an ongoing pattern of inattention and/or hyperactivity-impulsivity that interferes with functioning or development.” The Centers for Disease Control and Prevention did research in 2016, which found about 6.1 million children in the U.S. have ADHD. Chapman started with Vyvanse, a nervous stimulant used to treat ADHD, but felt it wasn’t a good fit. Her doctor then suggested she try Adderall. Adderall is a nervous system stimulant made up of amphetamine salts that is commonly prescribed to treat ADHD or Attention Deficiency Disorder(ADD). ADD is similar to ADHD but without the hyperactive element. Chapman now describes her brain on adderall as a sort of “heaviness.” She is able to focus on one thing at a time, without suppressing her creativity. Along with mood swings, Adderall also has a potential side effect for heart palpitations. Ashley Simmons is the non-invasive cardiologist at the University of Kansas and has seen several patients who have faster heart rates at rest or arrhythmias which are irregular heart rhythms. Simmons typically sees heart issues in women who are over 18 or in people who have an underlying or genetic history of cardiac conditions. It is because of the risk of cardiac problems that Simmons finds taking Adderall unprescribed dangerous as people have not been screened. Lisa* is one of those high school students who takes Adderall unprescribed. She self-diagnosed herself with ADD a little over a year ago and began taking Adderall every once in a while to help with her workload, anxiety and prep for tests. Due to the risk of cardiac issues, Simmons cautions against self-medicating until being properly screened. Lisa now takes Adderall when she feel it is necessary as it helps her feel motivated to accomplish things. However, Lisa said she also feels moody after taking Adderall, especially when it begins to wear off. “If someone is doing something that annoys me, it makes me more irritated than normal and it makes everyone I’ve seen take it [act] like a zombie, and numbs them out,” Lisa said. For Lisa, the side effects are worth the risks when she has something big to accomplish, such as finals, ACT/SAT tests or AP tests. However, Lisa doesn’t think this gives her an advantage as it simply keeps her from getting test fatigue and doesn’t affect her score. “It doesn’t make you smarter which is what I think some people believe,” LIsa said. Because Lisa is not prescribed Adderall, she gets it from others who are. Chapman said that she has had multiple people ask her for Adderall, but she has never given any to anyone. “It’s not that I don’t want to help them but it’s really not safe and I would not ever want to put myself in a position where I put people in danger for what they think is for their own good,” Chapman said. Chapman doesn’t have a problem with people who use it occasionally, although she hopes that they have some sort of guidance to keep them safe. “Just be very careful because Adderall can mess with people especially if they don’t have that chemical imbalance of ADD or ADHD in their minds–it’s not going to work for them in the long run,” Chapman said. 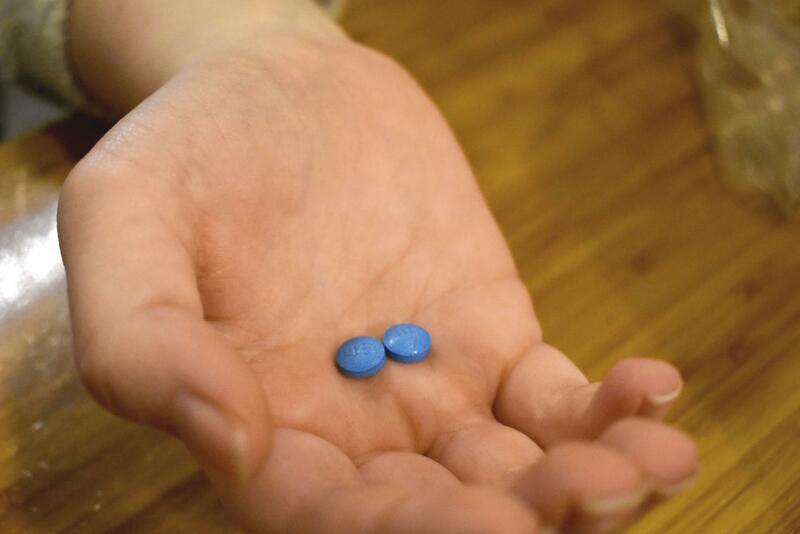 Chapman thinks that the rise in students taking Adderall comes from the changes in societal and school pressures. She mentioned that there’s almost a belief that people are at disadvantage if you are not on Adderall or Vyvanse in college. Simmons also mentioned that Adderall prescription has gone up over the last 15 years, but said her ideas on why were more theoretical than medical. *Names of students who wish to be left anonymous have been changed.